According to the latest NPD Group report, The Witcher 3: Wild Hunt claimed the top spot for software sales last month. The Witcher 3 was not only the number one game for the month of May, it also had the best-selling first month unit sales for RPGs for the current generation of consoles. There is no surprise to this considering the recent announcement by CD Projekt Red. In a recent open letter to fans, CD Projekt Red made the announcement that The Witcher 3 sold over 4 million copies in its first two weeks. In addition, The Witcher 3 took the top spot for UK sales for three consecutive weeks. 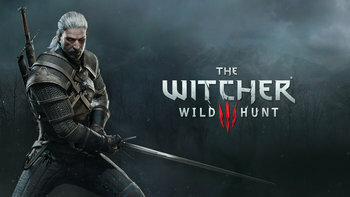 Marcin Iwiński, co-founder of CD Projekt Red, wrote that the success is a "sign that we did something right," and promised to harness the "positive energy" into upcoming expansions. "I'd also like to take this opportunity to thank the four million gamers worldwide who bought The Witcher 3: Wild Hunt in the first two weeks from launch. Four million RPG fans spending their hard-earned money on our game is a sign that we did something right, and you can be sure that we'll harness all that positive energy and make the upcoming expansions worthy of the grand adventure that you're telling us Wild Hunt already is! Until then, keep on enjoying Wild Hunt, do not forget to grab your weekly set of free DLCs, and stay tuned for constant updates and enhancement to the game we are continuously working on."